Five Valleys very kindly sent us a bottle of this Coconut & Kaffir Lime cordial to try out. I loved the sound of it as it just seemed really rather different to anything I've tried before. Lime is often included in cordials, but coconut is a first for me. I poured a generous splash into a glass and topped it up with cold water. It is a clear pale cream in colour, which becomes even lighter when diluted down. The official ratio is one part cordial to ten parts water, but I did just estimate it a bit. On a side note one of the lovely things about Five Valleys drinks is that they are all natural, hence the lack of colour. Anyway although this drink was lovely straight it would also make a fab cocktail mixer. For me though making up a jug of it on a hot summers day, and adding ice and mint would make it the perfect barbecue accompaniment as it is just so refined and refreshing. 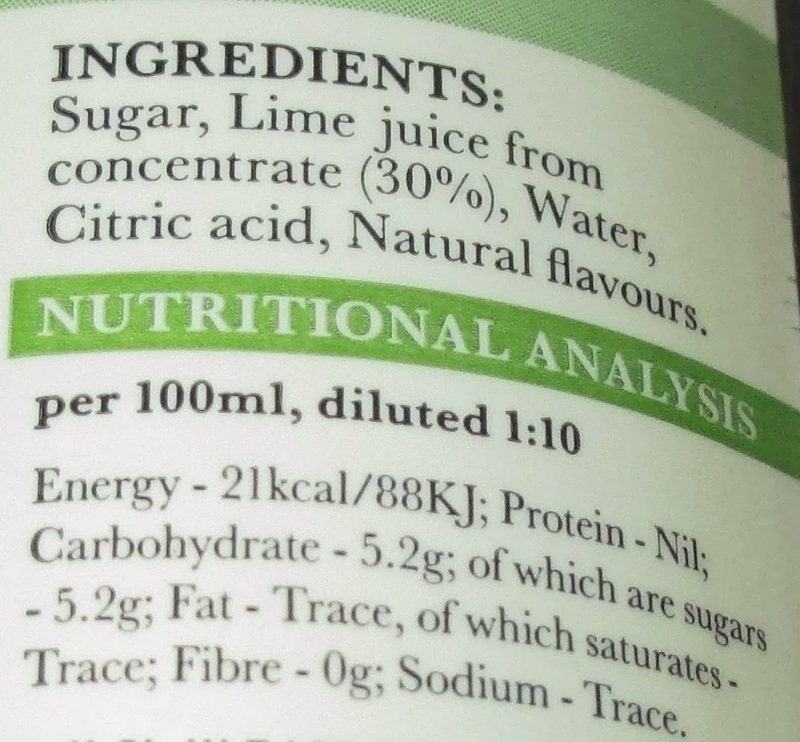 I saw a Lime & Coconut high juice in Tesco the other day and was tempted to buy it. May have to search it out now as you've convinced me it's a good combination. Will have to keep an eye open for this - I'd become 'addicted' to the Bottlegreen Lime & Coconut Cordial but they have discontinued it due to it not being popular. They have replaced it with plain Lime Cordial (as if the shelves aren't groaning under the weight of several brands of lime cordial already! ).